The Velvet Hands blend slacker story-telling and belting guitar riffs reminiscent of The Strokes with rousing punk choruses that recall punk bands such as the The Clash. Born out of Cornwall’s blistering garage-rock scene, the band are now one of the UK’s most exciting guitar bands. Their D.I.Y debut album ‘Party’s Over’ was released in May to great acclaim, becoming Radio 1’s album of the week, getting constant support from Radio 6 and bagging them a live session on Radio X.
Musically inspired by all of the greats from The Rolling Stones to The Kinks, their lyrics bring them firmly into the 21st century, encapsulating the feelings of their young generation. From the disillusion of 1 minute punk belter ‘Sick of Living’ to the universal tales of toxic relationships and navigating modern day romance on ‘Games’ and ‘Gimme Some Time’, the band have won over hearts up and down the country. Their quick rise through the ranks hasn’t gone unnoticed however, with support slots being offered by Paul Weller, YAK, The Bluetones and VANT. The band have played at many major UK festivals, including a main stage slot at Boardmasters, and main support slots on Isle of Wight and Truck Festival. 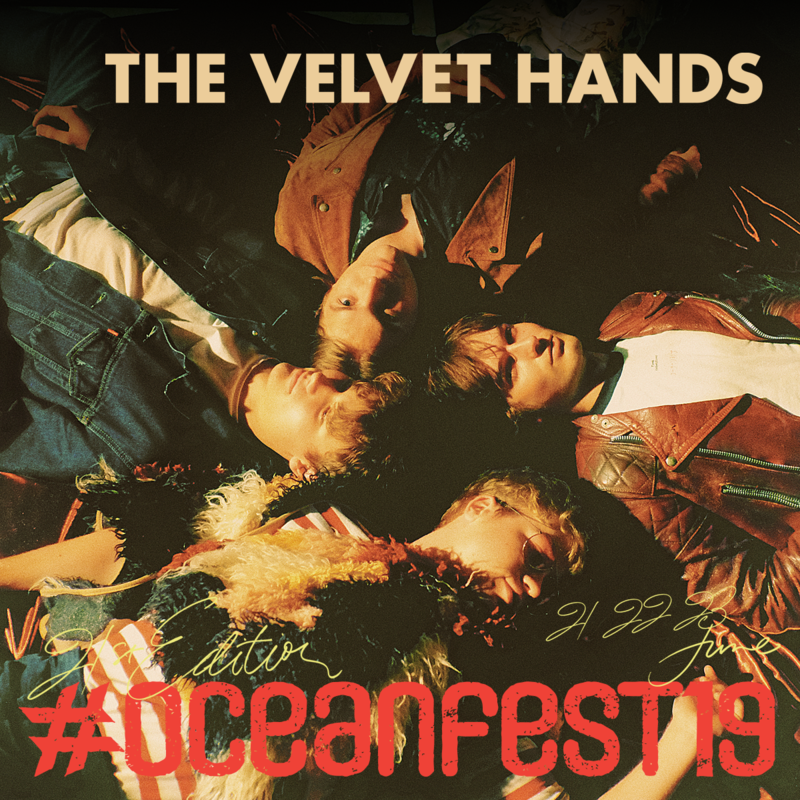 The Velvet Hands, with an average age of 21, have only had a taste of the success that is to come. See them on a smaller stage before it’s too late!